It had been hailed as a star of the 2015 holiday season, until things started going terribly awry. For several months now, our San Francisco product injury law firm has been following the problem of hoverboard fires in the Bay Area and throughout the nation. In addition to the fires, falls and other hoverboard injuries are filling emergency rooms nationwide and causing great risk to riders of all ages. Late last week, according to CBS SF, police reported that a hoverboard caught fire in a Daly City home on April 4. Police say the hoverboard was charging in the kitchen of a home on Merced Boulevard when it allegedly combusted. Luckily, a resident of the home was able to put the fire out using a fire extinguisher, although fire officials still responded to ensure safety. While no one was injured, it is not immediately clear if the fire caused property damage. CBS SF reports that there have been at least three other fires blamed on hoverboards since the start of 2016. It is hardly a problem confined to our area, however. The Washington Post reported on a fire in Nashville that very nearly claimed the lives of two teens who eventually jumped out of windows to escape the inferno. Earlier this month, NBC’s WGEM reported on a family returning home after church services to find their home engulfed in flames allegedly because a hoverboard exploded during charging. California law takes product-related injuries very seriously, applying a strict liability framework that holds manufacturers and sellers liable for injuries caused by defective consumer goods. This means that injured plaintiffs do not need to prove any ill intent or even negligence on behalf of the manufacturers or sellers in order to recover compensation. Essentially, the standard eliminates one of the hardest burdens injury plaintiffs face based on the belief that companies must be held accountable for the products they make and sell. It is increasingly evident that the problem with hoverboards lies in the product itself and is not simply a matter of rider error. Although there are many online videos making light of hoverboard falls and hoverboard fires, the risk of serious injury and even the possibility of death are very real. 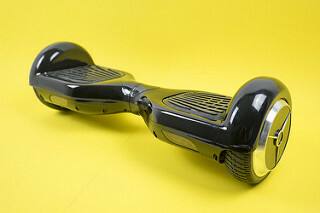 If you or someone you love has been injured because of a hoverboard in Northern California, including injuries due to either a fire or a fall, please call our hoverboard injury lawyer in San Francisco, Santa Rosa, or Oakland. You deserve compensation and Attorney Greg Brod can help.